The verdict is in: big pharma company Takeda continues to hand over payouts to patients after providing them with dangerous drugs to treat type 2 diabetes. The Japanese company was ordered by a state court in Philadelphia to pay more than $2.3 million in damages to a patient who says Takeda’s “Actos” diabetes drug caused his bladder cancer. (Something we alerted our readers of in the summer of 2011, when news was first breaking.) And this man is not alone; a number of lawsuits over Actos have been filed since it came to market in 1999. In fact, there are currently 8,000 claims against the company across a number of states, with the next trial set to begin in March. Big Pharma Company Pedaling Poison? Actos is clearly dangerous. During trials before its release, a number of common negative side effects were experienced, with severe side effects including bladder cancer, heart failure, bone fractures, and macular edema (which can lead to vision loss). With all these known side effects and a recurrence of lawsuits, why are Americans still being prescribed this poison? Your Health or a Bigger Check? The short of it is that the healthcare industry is big business and doctors are the retailers. There are some doctors out there who put the dollar sign ahead of your health and receive payouts as an incentive to prescribe certain drugs. Furthermore, insurance companies have a hand in the game, because they allow certain drugs into their plan, while excluding others. Because you, the consumer, believe that your doctor is acting in your best interest, it’s easy to believe the drugs they prescribe you are safe and will provide you with the medicine you need to keep you as healthy as possible. Unfortunately, this is not always the case. This makes self-education key. But doctors may not always understand what they’re prescribing either. In this most recent trial against Takeda, it was determined that the doctor of the patient (or victim) did not adequately explain the risks associated with Actos. This is not uncommon. What further complicates things is that without sick people, doctors don’t make a living. This simple principle instantly creates a conflict of interest. Whereas you’re interested in a preventative lifestyle to get healthy, they want to keep you as a customer by selling you supplements or pharmaceuticals. Now, I’d like to be clear that not all doctors are greedy and will knowingly prescribe something dangerous to get paid—but some will and it could cost you your life. Type 2 diabetes is a health epidemic in the United States and it’s largely caused by the addition of high-fructose corn syrup (HFCS) and other added sugars in the processed foods supply. These high-sugar foods create a metabolic response that alters how your body responds to sugar intake. When people with type 2 diabetes eat carbohydrates, the body either does not produce enough insulin to send sugar to cells, or the process does not work properly. This results in blood sugar highs and lows, while causing cellular damage. Many cases of type 2 diabetes are preventable, but there is no magic pill or powder. For most people, it comes down to choices. Staying away from added sugars and processed foods; eating real, whole foods (not processed, packaged foods); and getting regular exercise can not only greatly reduce your risk of type 2 diabetes, but it can even reverse the condition. The best way to stay away from the very dangerous side effects of pharmaceuticals is to try and prevent diabetes—or reverse it—through dietary measures. The facts are there. Why trade one disease for another? The Food That Can Prevent Heart Disease and Diabetes! 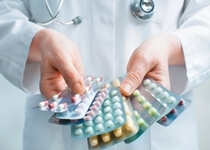 “Actos Side Effects – Common and Severe,” Drugwatch.com, December 18, 2014; http://www.drugwatch.com/actos/side-effects.php, last accessed February 17, 2015. Feeley, J., “Takeda ordered to pay $2.3 million in damages to Actos User,” Bloomberg Business web site, February 12, 2015; http://www.bloomberg.com/news/articles/2015-02-12/takeda-ordered-to-pay-2-3-million-in-damages-to-actos-user.